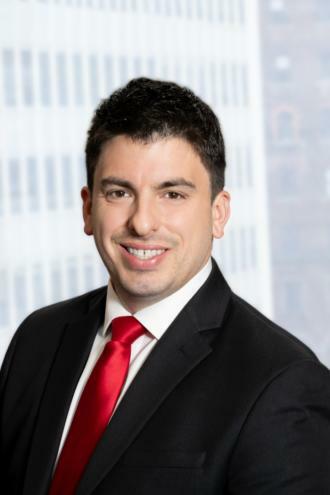 Scott Loffredo joined the firm in 2014 and became a Partner in the litigation Department in 2018. Mr. Loffredo practices as trial counsel in the Firm’s Litigation Department, practices complex civil litigation with a focus on commercial and residential real estate, DHCR matters, foreclosures and landlord tenant disputes in the New York City Civil Courts and the New York State Supreme Courts. He successfully litigated the matter of 233 East 5th St. LLC v. Smith, wherein the Appellate Term, First Department reversed the lower Court and ruled in favor of landlord finding that post vacancy increases in rent count when calculating whether a legal regulated rent met the applicable luxury deregulation threshold—a decision ultimately affirmed by the Appellate Division, First Department. He also successfully represented a commercial tenant in the Supreme Court, New York County action entitled LMF-RS Contr., Inc. v. Kaljic, where the Supreme Court for the very first time awarded a tenant summary judgment on a cause of action seeking a finding of “willful exaggeration of a mechanics’ lien”, and awarding the tenant treble monetary damages against Plaintiff contractor—a decision ultimately affirmed by the Appellate Division, First Department. In addition to litigation, Mr. Loffredo has served as a Court Appointed Referee in various State Court foreclosure matters and as Court Appointed Receiver in the Federal Court for the Southern District of New York. Mr. Loffredo if a former secretary of the Kings County Housing Court Bar Association and sits on the New York City Bar’s Housing Court Committee.